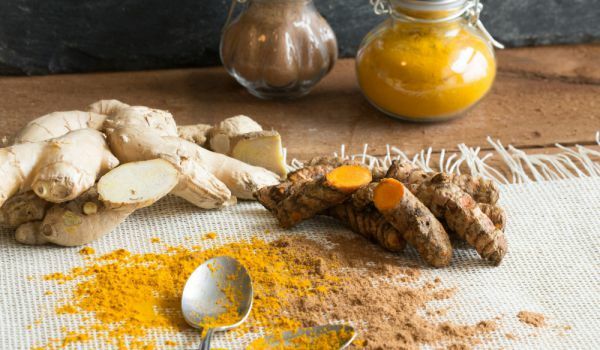 Health Benefits of Turmeric that many people know but do not use them. Do not overdo Turmeric, no matter how useful it is. The spice, which is able to give a unique flavor to any dish, has a powerful antioxidant and anti-inflammatory effect, making it one of the best ways to fight free radicals in the body and most of the illnesses caused by them. However, Turmeric should be taken with a measure because, if we overdo it, we can seriously harm our health. Exaggerating with spices leads to some extremely unpleasant side effects that you should be aware of. The daily recommended dose per person is thought to be about one teaspoonful. Each gram can cause you more trouble by causing side effects in your body. Overdose in the first place can cause you an upset stomach, nausea and dizziness. The most common side effect of overeating is the upset stomach. More than the necessary dose can irritate your stomach and cause severe pain and cramps. Turmeric can also cause kidney stones to develop. The spice contains oxalates, which can increase the risk of developing kidney formation. The substances are bound to calcium in the body and form insoluble calcium oxalate, which is a major cause of kidney stones. Turmeric, taken in large quantities, has the ability to hinder the gastrointestinal tract, causing diarrhea and nausea with excess consumption. No lesser danger coming from overeating is the possible allergic reaction to certain compounds present in turmeric, which can cause rashes and even shortness of breath. Allergic reactions can occur both in ingestion and in contact with skin. Excessive consumption of turmeric can suppress the absorption of iron in the body. So people with iron deficiency should be careful not to add too much turmeric to their daily meals, as this may reduce the body’s ability to absorb the important mineral.